If I’ll ask you what you’re thinking about when I say ‘Summer’ , will the answer be beach-related? Cause it sure is in my case! When I think Summer, I think beach, loads of sand and endless salty waves. 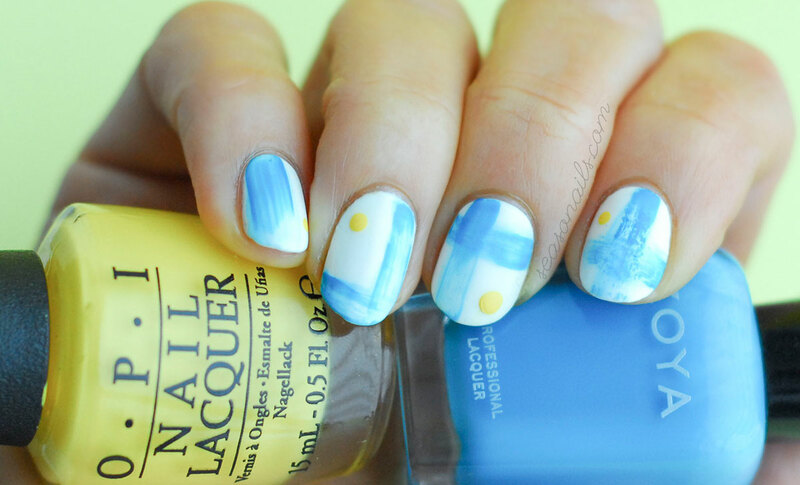 Love for Summer and all things summery brought about this new Nail Art. 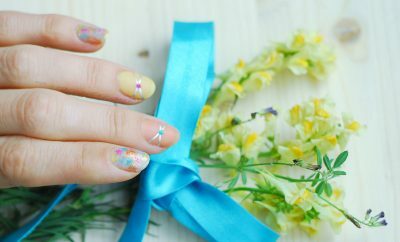 Minimalist yet again, the navy watercolor summer nails (two ways -_^) are my introduction to summery manicures, summery nail art motifs and easy-breezy techniques to welcome your pretty tips and toes into the (hopefully) warm and sunny season! 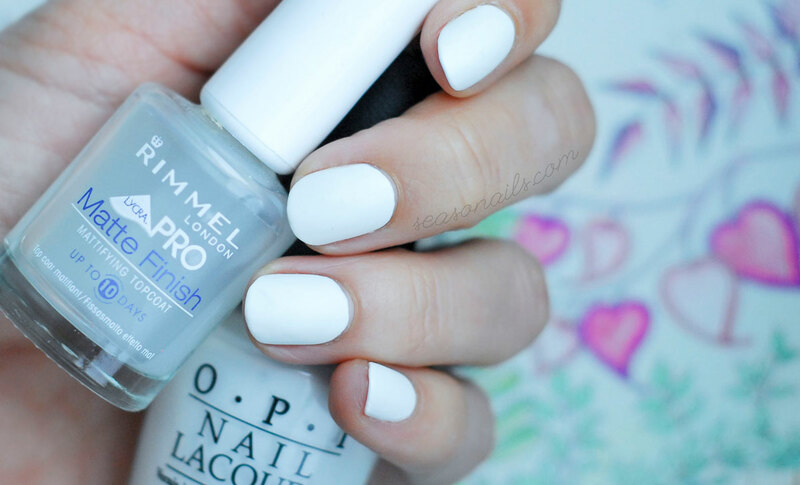 On a white base (provided by my OPI Alpine Snow white) I added a coat of matte lacquer. 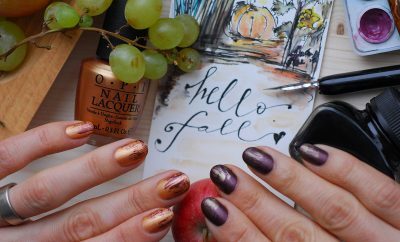 You know I love my matte nails, they just look and feel so artistic, perfect for abstract art, the kind we’ll be doing right now! On a side note – you might have noticed that my nails have shortened considerably – at least compared to last year’s extremely long nails. 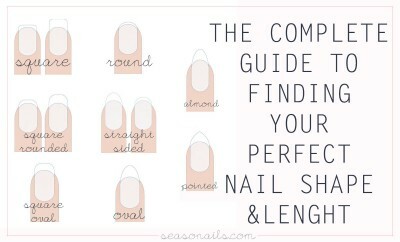 I came to realize that I need shorter nails because I do a lot of things around the house and in the garden too – regardless of the number of gloves I might wear (I wear two sets of gloves for garden chores), my nails get so dirty, I wouldn’t take it no more. So short they went! Texting got so much easier too -_^! 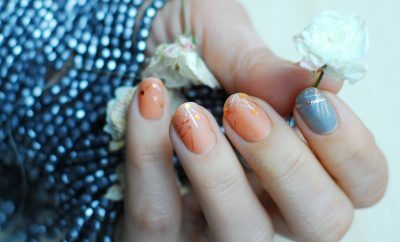 See more: Dry brush nail art on short nails! For my navy pattern I needed a blue nail polish and the only one I thought would be great for the job was the Zoya Robyn. No fuss, no extra skills, patterns or tools needed, I drew with the bottle brush. 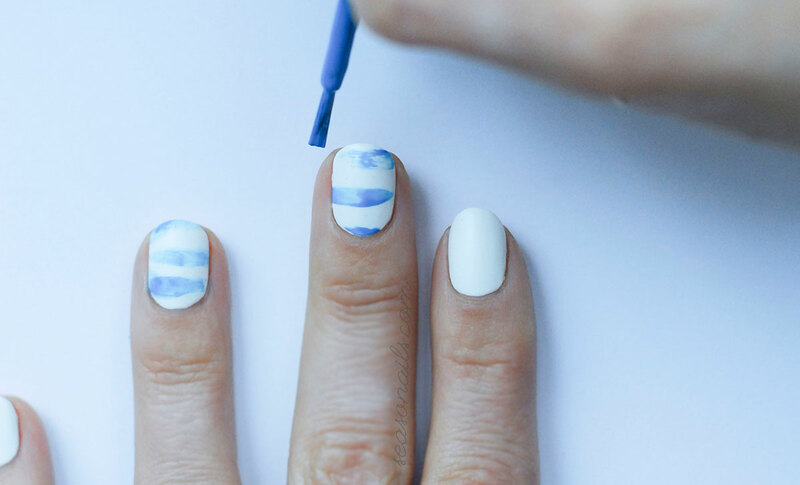 If you feel you need to wipe out the excess polish better than the neck of the bottle can do for you, feel free to draw stripes on a piece of paper before trying the stripes on your nails. Depending on the brush strokes you feel you need for the artistic effect, the dry brush technique is a safe choice for abstract art. On one hand I drew horizontal lines, on the other I painted a random pattern with intersecting brush strokes. How cool are those watercolor effects? I just loooove them! I would paint countless wall posters just with those patterns! Luckily for my walls, I have my nails to try my hand on first ^_^. 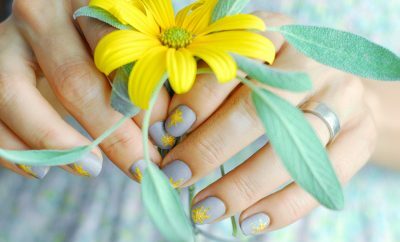 Here come the pops of yellow – for the sunshine on my nails. Tiny irregular sized dots in-between the horizontal stripes and big yellow dots for the random intersecting strokes. Oh! How pretty! 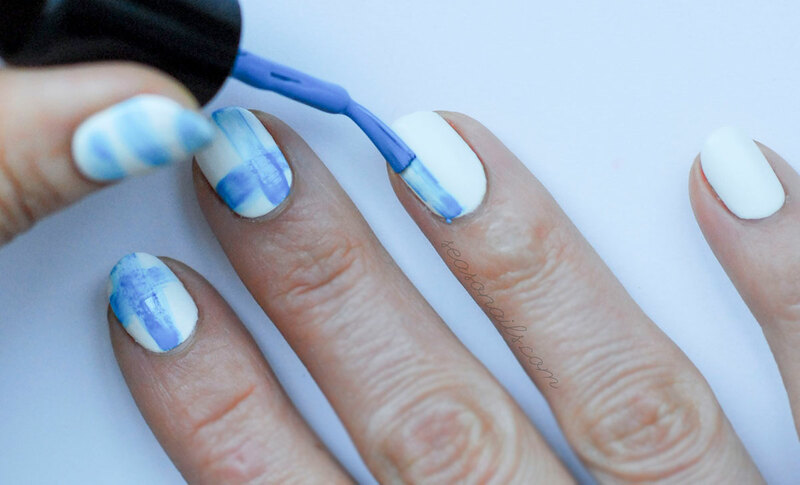 And if you count all fingers, it only takes 90 to 120 seconds to finish this nail art! Amazing, right? The more careless you are in painting it, the more artistic it looks! Fear not, dry brush is risk free! 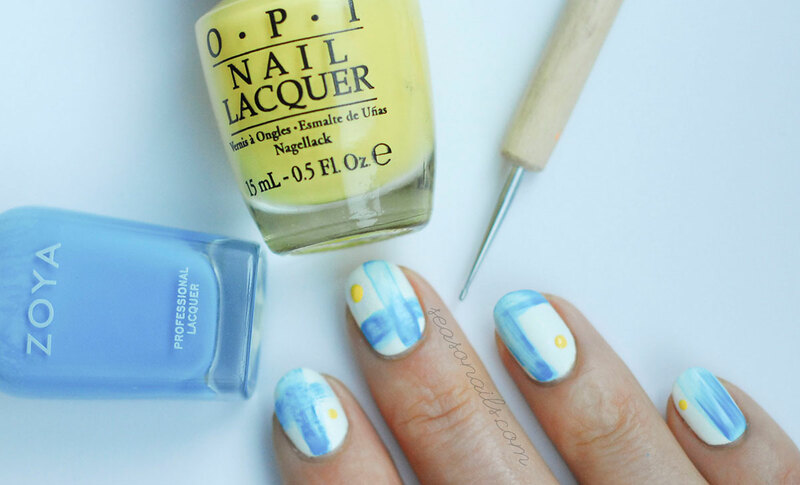 Three nail polishes and a topper, it’s all you need for this amazing summer simple nail art: white, blue, yellow and matte topcoat! Neat, super easy and super artistic, just how I lik’em! 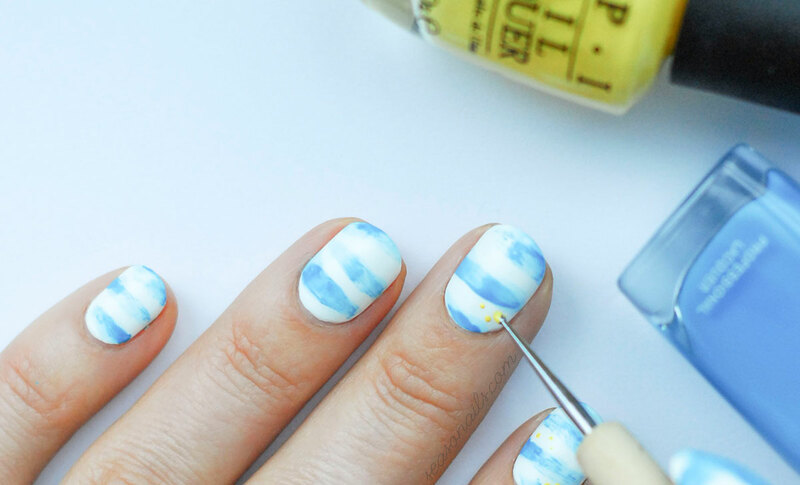 See also: Super simple, happy nail art for summer and more! 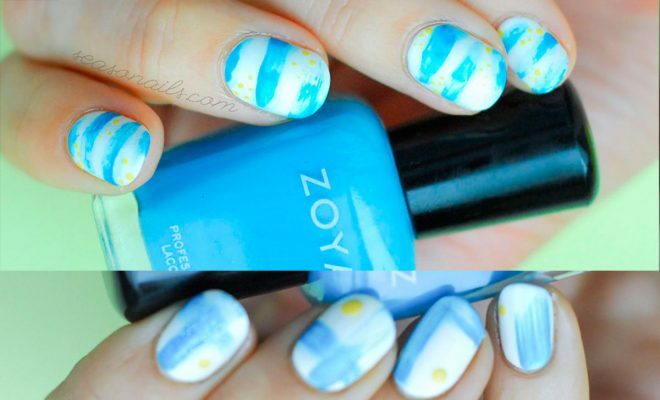 Beautiful nailarts :D Both versions are great but I have a small preference for the one with the horizontal lines.